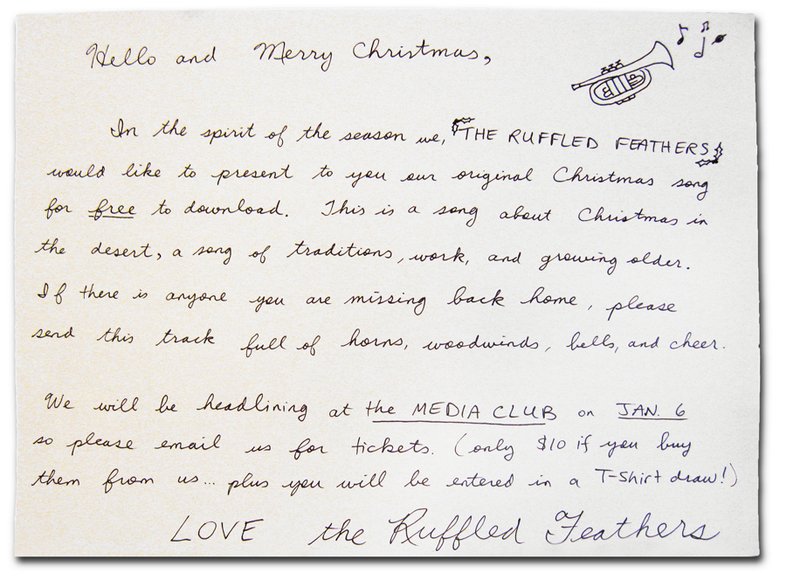 Look, it even comes with a handwritten note. I've got another Christmas tune here for you guys that I quite enjoyed. 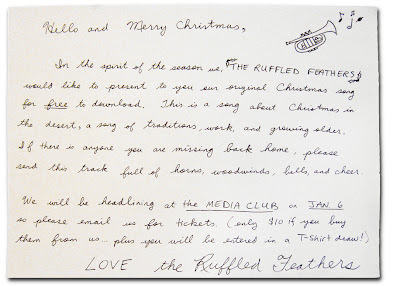 Lucky for me Katie Schaan let me know about The Ruffled Feathers, and their free Christmas song "The Highest Mountain". Great tune to add to the holiday collection!